Windsurfing gear in the discipline SLALOM by JP/Australia and Neilpryde. 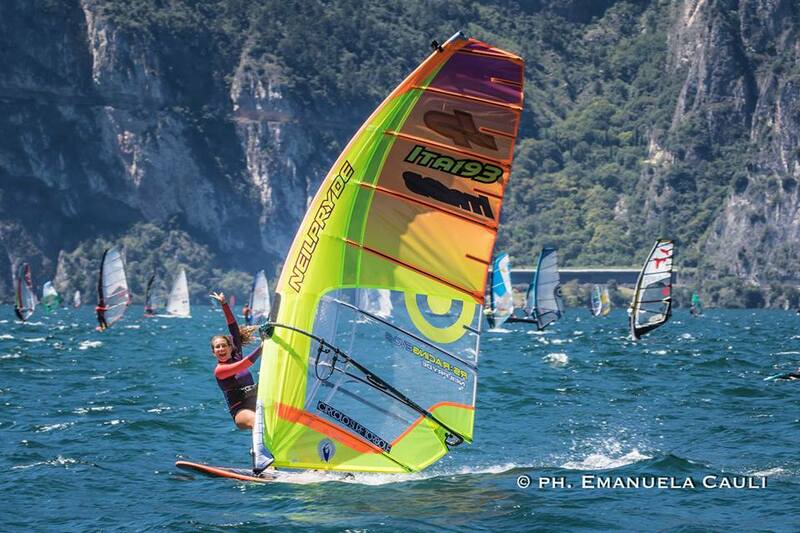 I started windsurfing when I was eight years old and I’m competing in the category Slalom since I was twelve years old. Short In short, I fell in love with windsurfing straight away. I grew up in this “crazy world of windsurfing” because my dad has been a professional windsurfer and is working in windsurfing business since always. 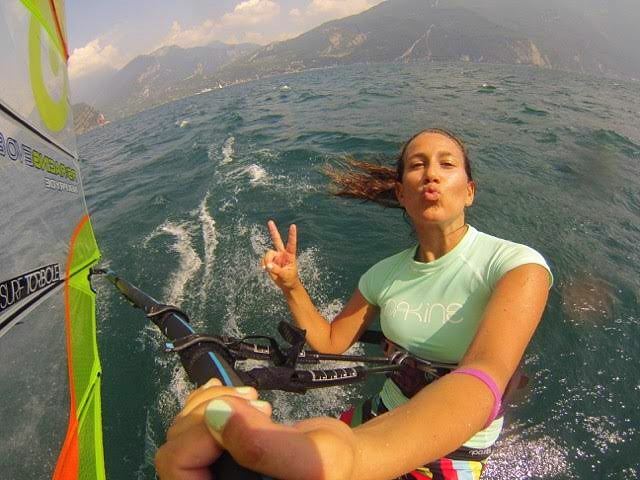 Lucky me, I can call Lake Garda my homespot where I train whenever I can…so the windsurfing-circus has always been a part of my life and I really can’t imagine it without. Beside my studies in “media and communication science” I also started working in the windsurfing business for windsurfing brands. 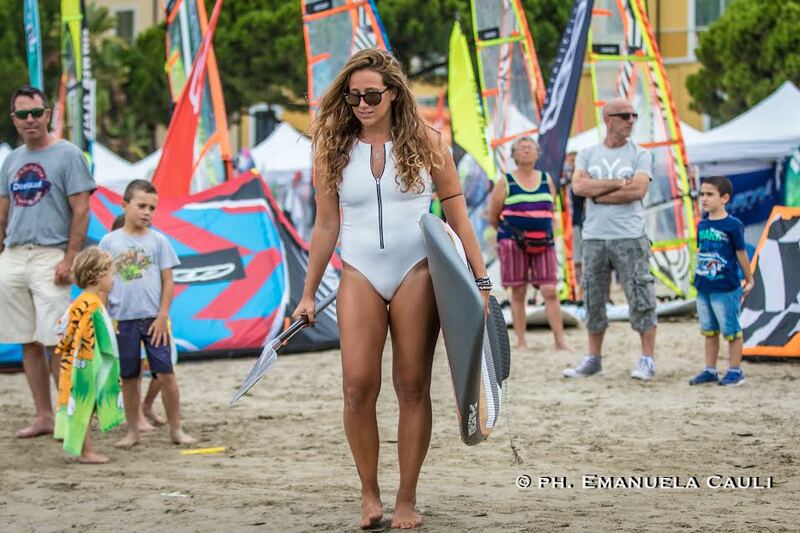 Windsurfing is not only a sport but a passion and a lifestyle. I’m stoked about everything around it, the lifestyle, travelling, events and having friends all around the globe. Simply being “the best version of myself”. As long as you’re happy with what you’re doing, you accomplished the biggest goal. Currently I’m writing my bachelor-thesis so I try to find the balance between studying and windsurfing. As soon as I’ll finish university I can put also the time I spent studying before into windsurfing again. I simply want to participate in the most competitions as I can and of course making the most out of them. I’d like to train more and improve also in other disciplines than Slalom, windsurfing is so various. It is important to set goals in life and there is no better feeling than accomplishing them step by step before setting the next, bigger goals. Getting the best results in competitions is of course a goal everybody is trying to achieve and working hard for it. My personal goal is to combine windsurfing as passion in my free time and as work. That’s the best combination. 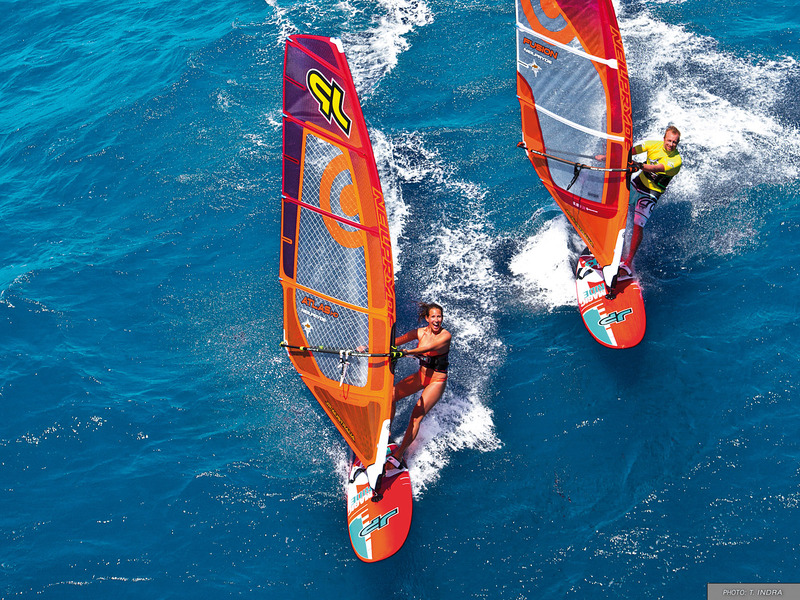 Once you’re in windsurfing, you can’t live without it. 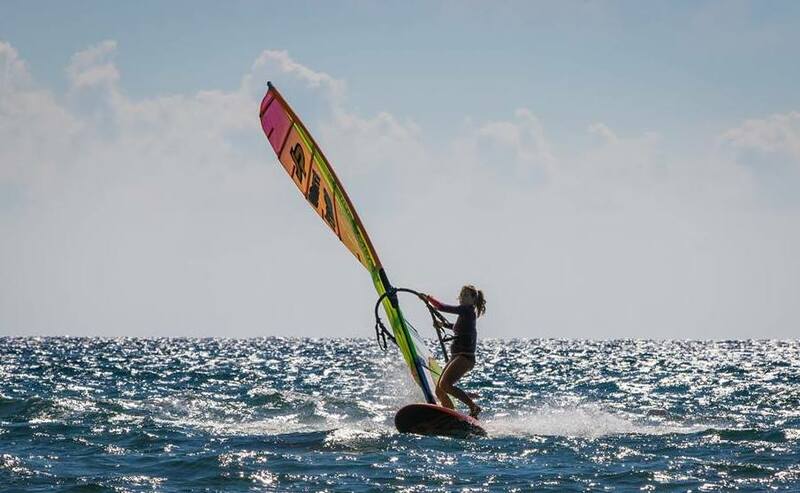 Windsurfing is a challenging sport in terms of combining physical, technical and mental strength. Nowadays the level is so high, you just have to keep training and pushing forward. It’s not only about training on the water but also in the gym, and feeling mentally comfortable. To combine those three elements is not always easy. Especially in the discipline Slalom but it’s a great challenge for yourself. Everything!! I guess it’s the feeling of freedom, power and adrenaline combined with nature. A good windsurfing session makes you forget everything around you. Only water, wind and your gear is what counts in that moment. It’s difficult to describe that feeling but it’s definitely like a rush you get addicted to. 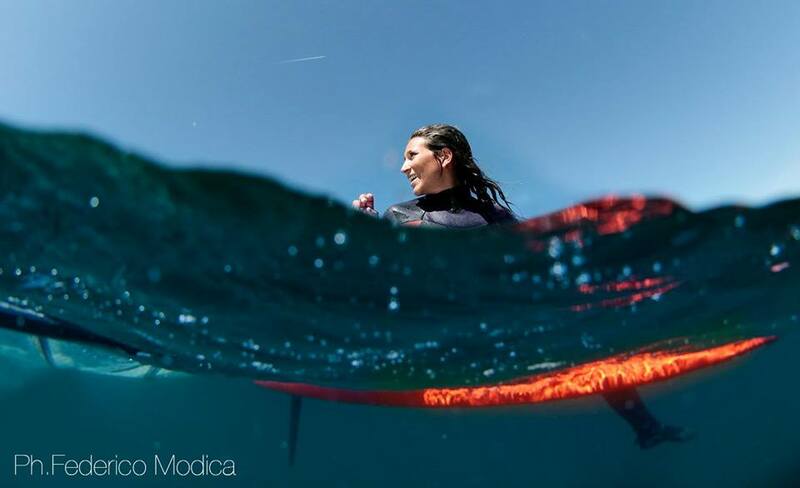 Windsurfing gives you so much positive energy; to me it’s simply pure joy and happiness. My homespot is Torbole / Lake Garda; there I practice (of course) most of the time. 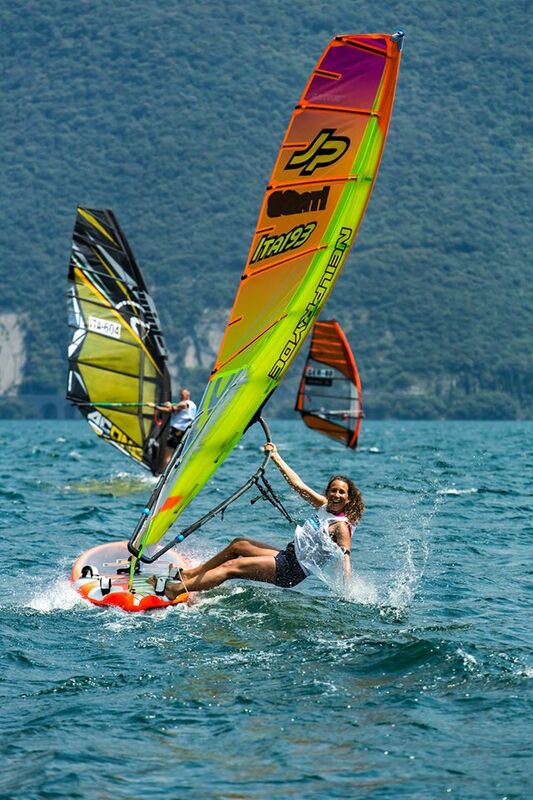 There is also my windsurfing club where many other athletes are training. Windsurfing and training alone is important of course, but nothing compared with good training sessions with friends, it’s when you can have the most of fun. While racing together you can also push your limits and improve the most. Basically I try to improve my speed in every session and the technique parts like jibing for example. The best trainings in my opinion are simulated competitions, there you get the best prepared for “real” competitions. But windsurfing is so much more than just being good in windsurfing itself. That’s why it’s super important to be mentally focused and feeling comfortable with your gear and the different conditions. You just learn as you keep training. I’m a really positive person but generally I’m not the best in handling stress. Being a good windsurfer is something else than being a good windsurfer in competitions. To be under pressure isn’t easy for nobody and you have to deal with it. Transforming this pressure into positive energy is a continuous learning process. Definitely my parents :) They’re my biggest supporters also outside of windsurfing. Luckily my dad is working in the windsurfing business and he’s completely addicted as well so he understands my passion and we can even share it. I’ve got many advices for competitions or how to improve… but the one my dad gave me just before my first competition when I was 10 years old was: “Enjoy it! As long as you’re having fun you’ll always be a winner. And first of all you have to do it for yourself, never do it for anyone else.”… This advice is so simple but at the same time completely true. Be positive, never give up and believe in your dreams. Those three things are not only important in daily life but also in sports. For those who want to start with windsurfing, stay strong at the beginning, it’s hard to start but it will definitely be payed off. 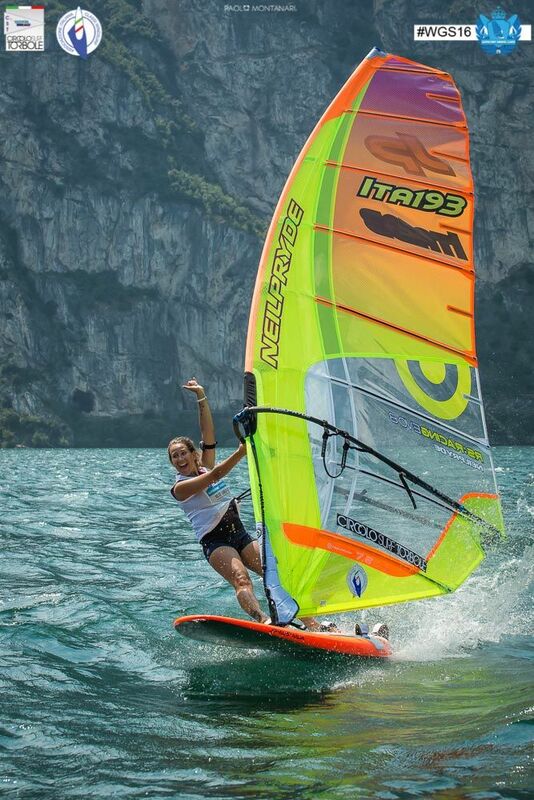 It would be so nice to get more girls into windsurfing and other watersports.